Swiss watch manufacturer Parmigiani Fleurier has joined forces with the prestigious French master glassmaker Lalique for a new interpretation of the Clock 15 Days, a marvel of clock mechanics encased in the very finest crystal. The crystal is adorned with Lalique's characteristic motif, the Coutard fountain. The limited edition table clock is available in three different crystal colors: classy white, deep blue or red. 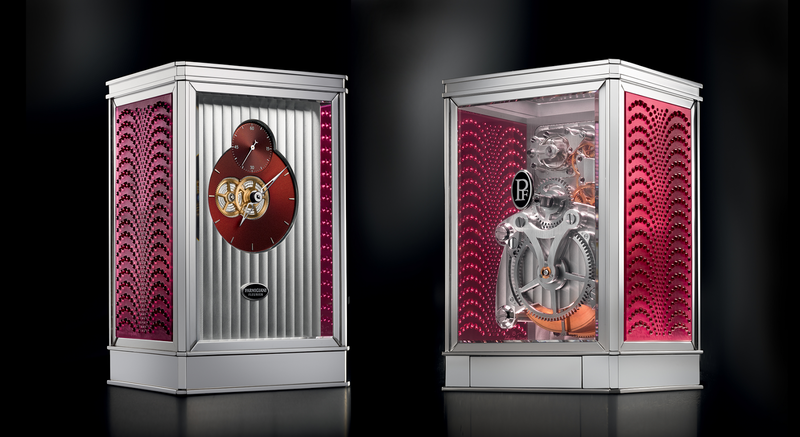 For each version, Parmigiani will be producing 15 pieces in total, with a rhythm of 5 clocks per year till 2015.